England beat Sri Lanka by 211 runs in the first test of the 3 match series at Galle. 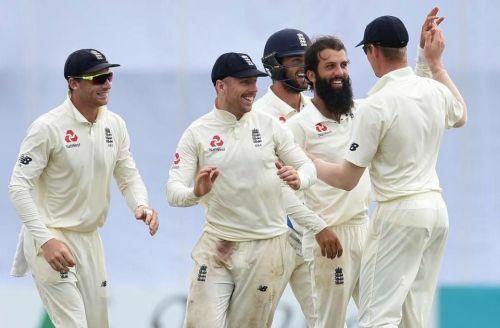 England were all out for 342 in the first innings after wicket-keeper Ben Foakes scored his maiden Test century in his debut Test. Foakes scored 107 priceless runs for England as they recovered after a top-order collapse. Dilruwan Perera took 5 wickets for Sri Lanka. In reply, Sri Lanka were dismissed for 203 as the English spinners ran riot. The spinners took 8 wickets for England. Moeen Ali was the most successful of them with 4 wickets. Adil Rashid and Jack Leach took 2 wickets apiece and pacers Jimmy Anderson and Sam Curran chipped in with a wicket each. Angelo Mathews top-scored for Sri Lanka with 52 valuable runs. England declared their second innings at 322/6 and set Sri Lanka a target of 462 runs. Opener Keaton Jennings scored 146 not out in England’s second innings and Rangana Herath, playing in his last Test, was the most successful Sri Lankan bowler with 2 wickets. Sri Lanka were dismissed for 250 in their second innings and lost the match by a huge margin of 211 runs. For England, Moeen Ali and Jack Leach took 4 and 3 wickets respectively in the fourth innings of the match. The English spinners generated prodigious turn on a surface that assisted spinners from day 1. Ali, Rashid and Leach tested the Lankan batsmen with sharp turn and bounce. Rashid bowled the conventional leg-break very well and was rewarded with 4 wickets in the match. Debutant Leach mainly bowled with a horizontal seam and got 5 wickets. He generated a nice loop and turn, which troubled the Sri Lankan batsmen to an extent. 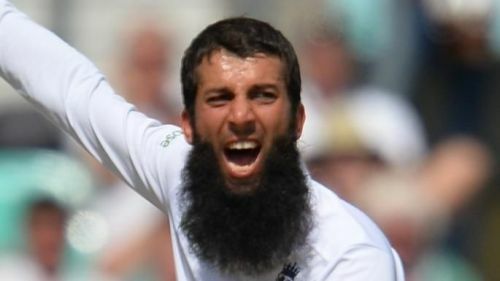 Moeen Ali was the pick of the bowlers as he generated sharp bounce off the wicket. He bowled some brilliant top-spinners which bamboozled the Sri Lankan batsmen. He also used the width of the crease very well and bowled from a wide angle to generate a loop which caught the Lankan batsmen off-guard. Ali was especially successful against the left-handed batsmen as he spun the ball away from them. He also gave the ball considerable flight and reaped the rewards for it by taking 8 wickets in the match. Rashid, meanwhile, took the vital wicket of Dinesh Chandimal, the Lankan skipper in the first innings. He flighted and moved the ball away from an advancing Chandimal, who missed it and was stumped by Foakes. Sri Lanka had prepared a turning pitch for the visitors, but were done in by the English spinners.